The cost of food is lower than it ever has been before. Food fillers are lowering the cost of meat — a cheeseburger now costs less than produce. But are these fillers helping us or hurting us? 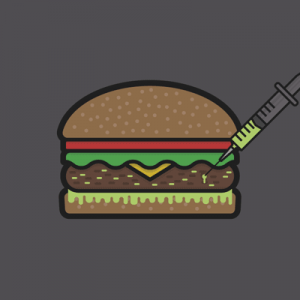 Additives: Fillers help bulk up the weight of food. This helps lower food prices. Fillers are mostly found in processed meats. While lowering the cost of food sounds like a great idea, what we’re putting in the food may be costing us. Cellulose appears in many high-fiber snacks and eating organic won’t help you avoid it. Potassium bromate is illegal in China, the European Union, Canada, Brazil and many other countries. It is legal in the U.S. Even eating organic won’t eliminate these unwanted fillers from your diet. Educate yourself on what you’re eating.